Join your professional peers at the 2015 EHS and Sustainability Software conference to learn how your peer companies are using data management systems to track compliance metrics, mitigate business risk and report sustainability results externally. Since 2001, NAEM’s EHS & Sustainability Software Conference has been the premier software event designed to meet the needs of corporate EHS and sustainability leaders. NAEM’s software event is the best opportunity to meet with the leading solution providers in one place and to hear from fellow users who have implemented these systems. 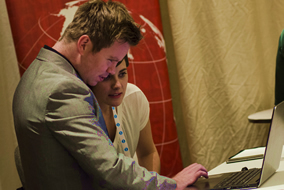 Discover more reasons why the 2015 EHS and Sustainability software conference will help you find a solution. No other conference provides the type of peer-led user demonstrations, best practice case studies and substantial conversation on how to assess software needs for an EHS and sustainability organization. This conference will help you connect with leading software and service providers. 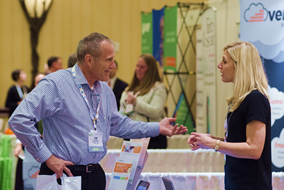 Learn more about the exhibitors who are participating in this year's conference. 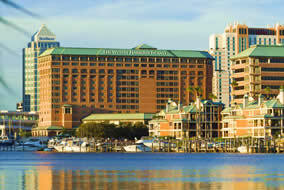 The 2015 EHS and Sustainability Software Conference will be held at the Westin Tampa Harbour Island. Make your reservation and book your travel today.